If you live in the U.S. and are constantly thinking about owning the Sony Xperia Z5, the device is now available from Expansys, priced at $669.99. With its IP68 certification, you can take the Xperia Z5 wherever you go, even in the shower. This unlocked model offers dual SIM capabilities and supports 4G LTE connectivity with AT&T, T-Mobile, MetroPCS, Cricket, Straight Talk and others. The Sony Xperia Z5 is available from Expansys in Graphite, White, Gold and Green, with 32GB of storage. The device is equipped with a 5.2-inch screen; carrying a 1080 x 1920 resolution. That works out to a pixel density of 424ppi. Under the hood is the Snapdragon 810 SoC, carrying an octa-core 2.0GHz CPU and the Adreno 430 GPU. 3GB of RAM is inside, and after all is said and done, there is 23GB of internal storage available to the user. A 200GB capacity microSD slot is on board for those seeking additional memory. A 23MP snapper graces the back of the phone, and a 5MP camera adorns the front of the unit, ready to shoot selfies and handle video chats. Sony insists that the 2900mAh juicer will provide up to three days of power, and Android 5.1 is pre-installed. The Sony Xperia Z5 is in stock now at Expansys, so if you are interested in Sony's latest flagship handset, simply click on the sourcelink. From the reviews and YouTube videos I have watched, the performance and heat problem seem to have only been improved slightly compared to the Z3+. The camera though great still suffers from bad camera software from Sony. If only Sony chose Exynos or used stock Android. Stock android is coming with the marshmallow update. Also most of the pre installed apps can be uninstalled. Yeah the SD810 is a bit of a let down but for normal tasks it should be fine. Honestly processor doesnt matter much. You can use one from a phone 3 years ago and it will still run all programs easy unless of course its a iPhone Anyone know where we can get the Z5 Compact? Z3+ close after 4 minutes of 4k recording, Z5 close after 20 minutes of 4k recording. How is that a small improvement? As with games, I have a relative in Europe saying that it doesn't overheat that much when he's playing for an hour. Small stutters and lags is tolerable since it must be a software problem and might be solved by an update. As for Z5 compact, it is stable and doesn't lag. You must also understand that some popular reviewers have to make a living so they've got to be spin doctors for iphone and samsung. iphone 6s overheats on demanding games and drains battery quickly but nobody in tech websites want to tackle the issue because it's apple. 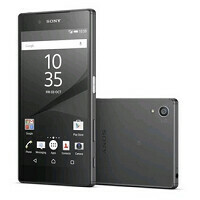 is this gunna be the last sony phone in the history? Ur getting on my last nerve PA. Wish i could express all my points of view from ur articles, well im just containing myself. I took a closer look at it at a local store yesterday. If you like beautiful electronic devices, don't buy it, it's ugly. It also has that cheap plastic feel, full of sharp edges that feel extremely uncomfortable when holding. Maybe the Premium edition is better but this one is appaling. I don't know what Sony is thinking, but this is a shot at own's knee. I can design a better phone in no time. Is any place selling Premium yet? Sony: if you want to sell millions of phones, offer the Z5 Compact on Verizon... You'll have no competition as there is no phone-sized device (that will fit in your pocket) available on Verizon at this time. How many more iPhone articles before Xperia Z5 gets a review?